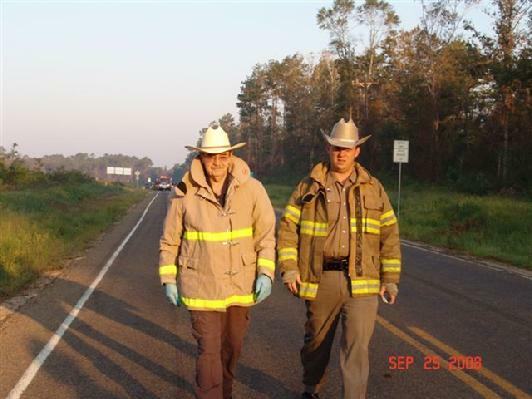 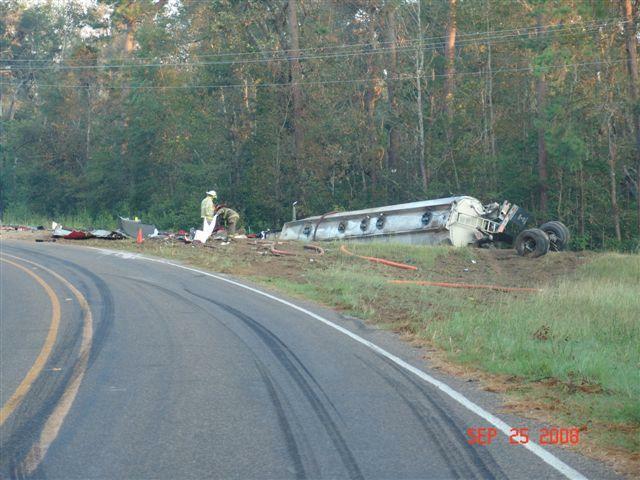 UPDATE: Name Released of Tanker Driver Killed on FM-943, BIG SANDY, September 26, 2008 - According to DPS Trooper Sam Lattner, the name of the driver that was killed in the tanker rollover accident on FM-943 was Sandra Lee, 51, of Vidor, Texas. 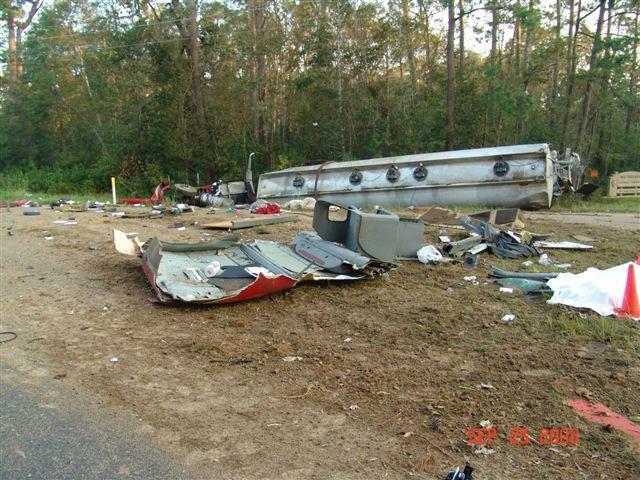 The accident occurred on September 25, at approximately 5:05 am. 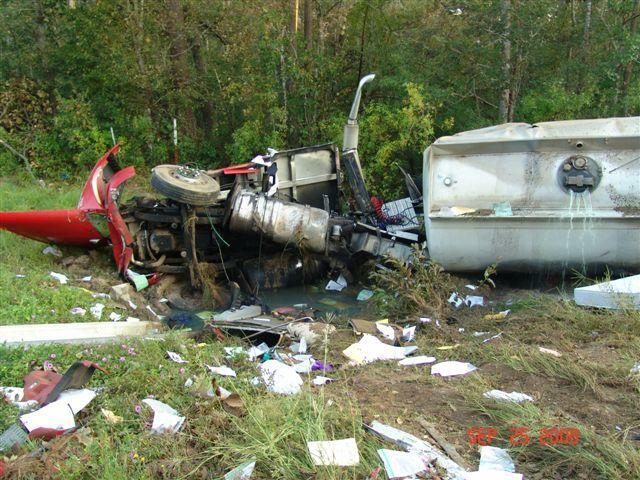 When an 18 wheeler tanker truck hauling gasoline went off the road and rolled several times ejecting the driver. 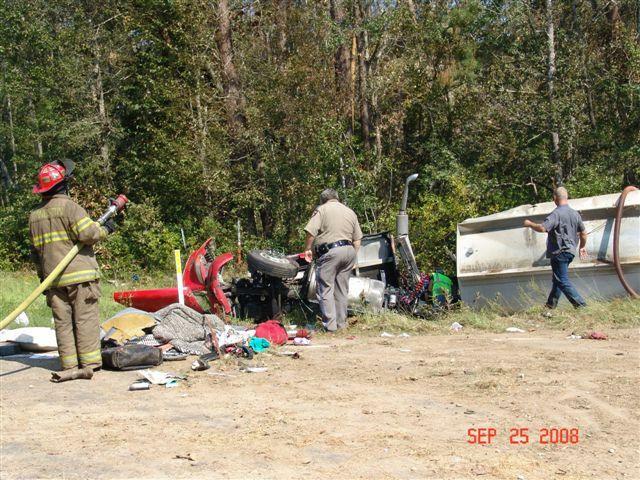 Scroll down to view pictures from the scene of the accident. 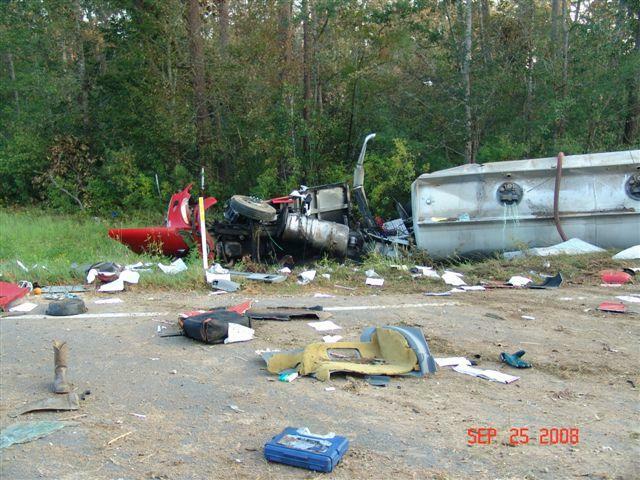 Tire marks leading to the accident. 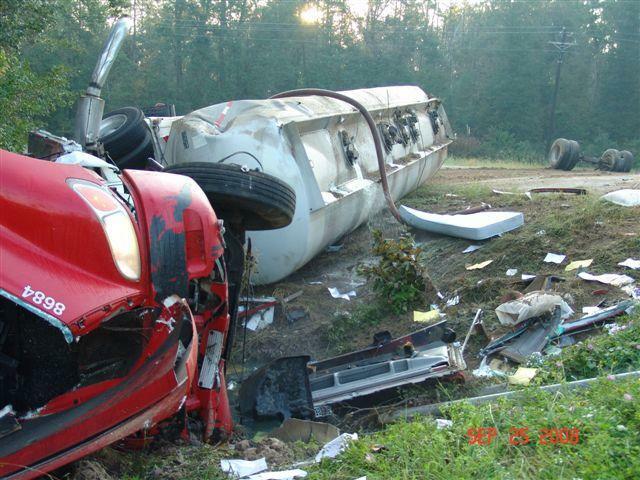 Gasoline pours from the tanker (nearly 3,000 gallons leaked out prompting a hazardous material clean up).